I am so very much enjoying our new neighborhood and getting to know its traditions. 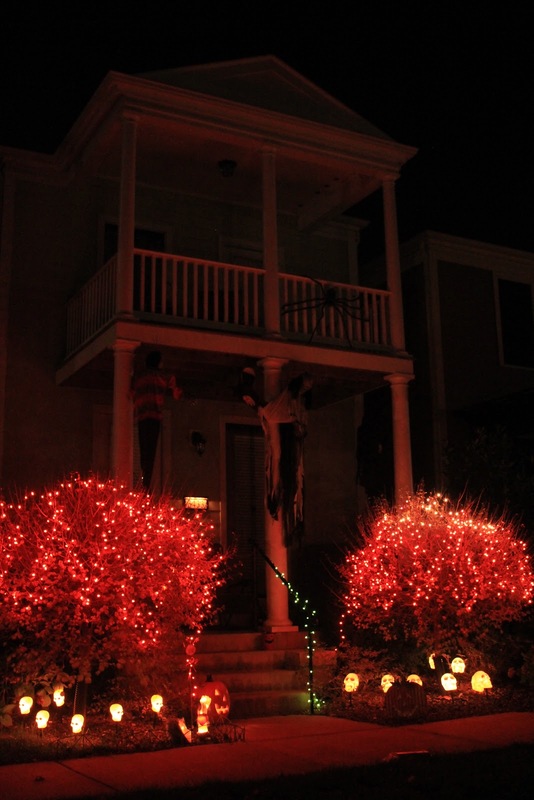 We heard that New Town likes to celebrate and Halloween is no exception! Take a look at these wonderful decorations! The Steffes 2012 pumpkin! Carved by Bob at the WCEE Pumpkin Carving Night! 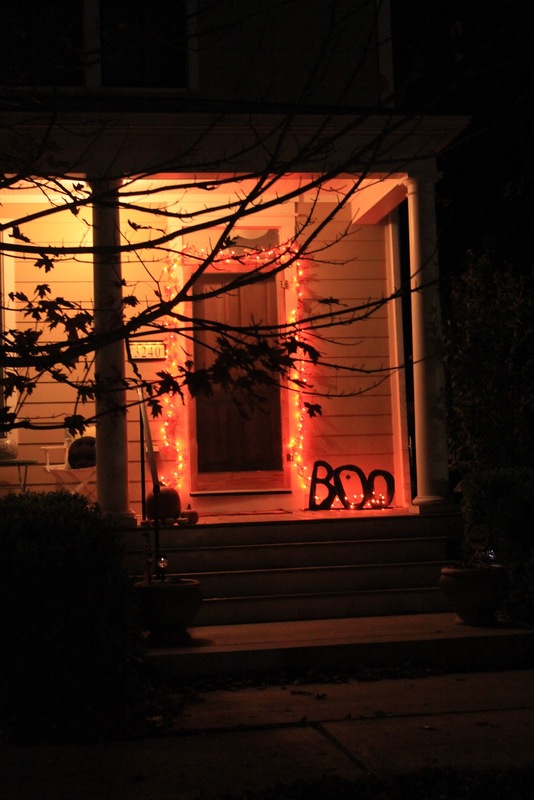 Very cute homes all decorated for Halloween! It looks like you are in a great neighborhood! Bob did a great job on that pumpkin! Did he win? Have a fun evening...I just know that you're up to something. Your neighborhood looks lovely...and sounds like such a fun group of people. So happy to see that things are going so well with you.